One of the eternal mysteries of Ecuador is why, in a country that grows the stuff, it’s so hard to find a decent cup of coffee. There you are, all geared up for your first adventure in Ecuador, and you order breakfast. You wonder why the waiter is bringing you a cup of hot water. You take a closer look and there it is: instant coffee. However, in Quito, at least, it’s possible to find a great cup of coffee, if you know where to go. We’ve done the homework for you, so that you can find not only a tasty beverage, but also a cosy place to relax or work while you enjoy your drink. This coffeeshop is part of the independent movie theater Ocho y Medio. 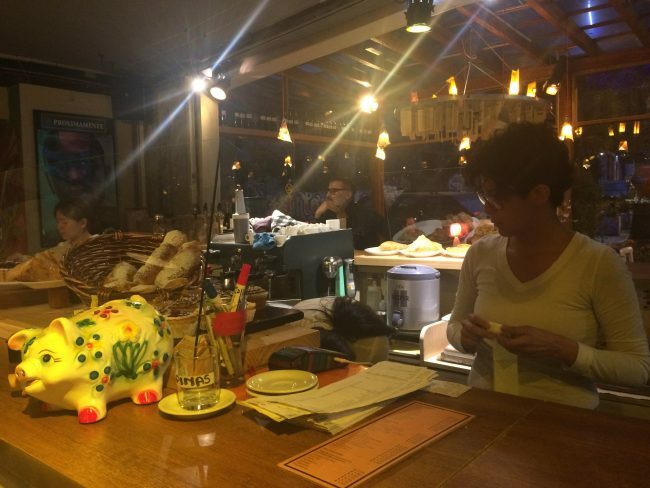 Café Intag has a friendly service, an outdoor covered patio where the glass windows let you enjoy your coffee even on a cloudy or rainy day, and a wide selections of sweets and pastries, as well as wine and beer. This café is best enjoyed if you plan to talk to people, or just people watch. There’s also a second shop with a great, friendly atmosphere, just a few blocks away from the main branch. Jarú, located in the northern business district, is hands-down the best place to work and enjoy some good coffee at the same time. Jaru has a friendly staff and they won’t bother you even if you camp for an entire day after having a few cups of coffee, and it has enough power outlets and workstations to set you up for a working day. Also, its one of the few places in Quito that is open on a Sunday – very valuable when working on deadline. 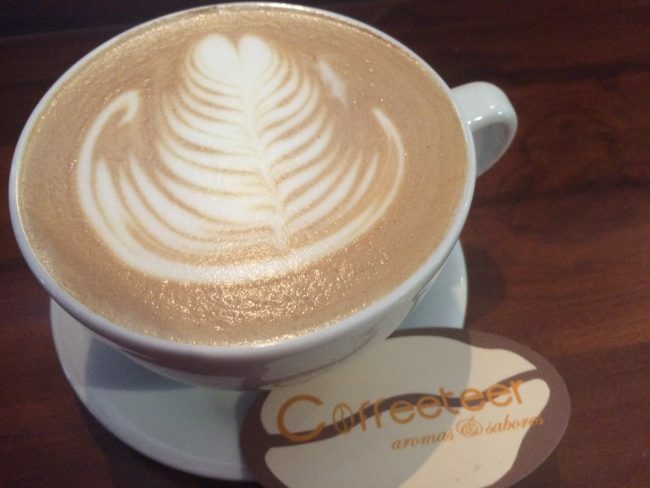 The Coffeeteer shop, located in an old-style house in the Mariscal district, is one of the best places for coffee in Quito. With friendly staff who know about coffee and can even tell you where the beans came from and where they were roasted, this shop is very involved in the entire process of coffee production. 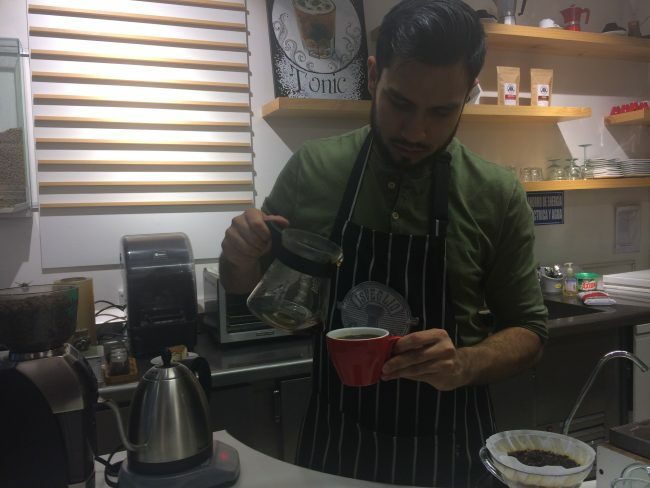 The staff at The Coffeeteer will gladly show you around and explain the coffee process and the coffee culture in Ecuador, so it’s worth going with a bit of time to spare. It’s a quiet indoor place with comfy sofas, so if you need a place to go and enjoy a cup of coffee in peace, this could be the place. If you’re looking to experience a great coffee and learn about it at the same time, this is a great destination. The staff are very well trained, as Isveglio runs a barista school. You will first be introduced to the coffee beans they are using, so you can smell them, and learn what part of the country they came from. This place has bright lights and is crowded, and while the coffee and experience are great, it’s not the best choice if you want to enjoy a quiet coffee with a book. 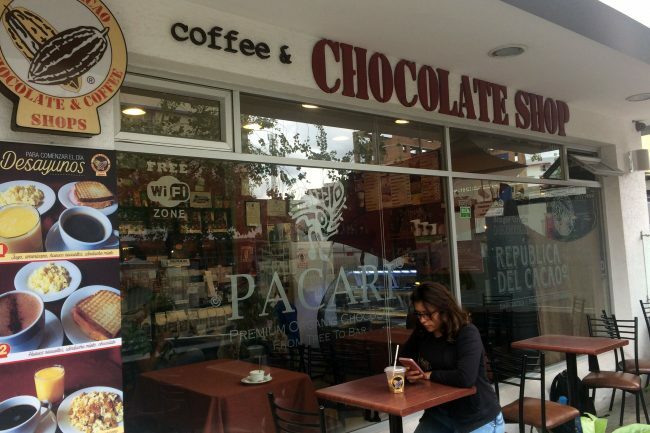 With two shops located in the Mariscal district, Cacao & Cacao is a great place to enjoy a cup of coffee – they also have great hot chocolate! – and to buy coffee or gourmet chocolate to take home as souvenirs. The staff are very helpful.